Findings from a new study of more than 900 stroke survivors appear to show that people who engage in regular, low-intensity exercise tend to have milder strokes than people who are physically inactive before a stroke. Older adults who participated in light to moderate physical activity were twice as likely as sedentary people to have a mild stroke rather than a severe one. In the study, “light activity” was defined as walking at least four hours a week. “There is a growing body of evidence that physical activity may have a protective effect on the brain and our research adds to that evidence,” said lead author Katharina S. Sunnerhagen. For the study, researchers looked at 925 adults of an average age of 73 who were treated for a stroke at the same hospital. The patients were later asked about their exercise habits prior to the stroke. Nearly half of post-stroke seniors (48 percent) said they had been active before the stroke. Of 384 patients who engaged in light physical activity, 85 percent (or 330 people) had a mild stroke. By contrast, 73 percent of inactive people were likely to have a mild stroke. A limitation of the study was that participants were asked to self-report their level of physical activity before the stroke. 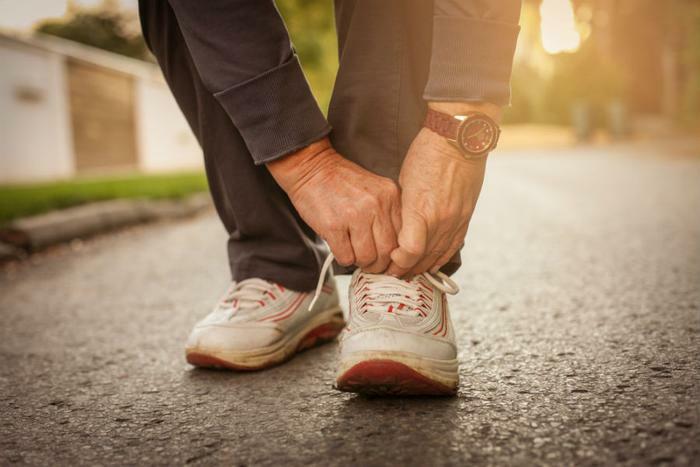 The authors said there is a possibility that some patients could have trouble accurately remembering their activity habits since memory can be affected by a stroke. “Further research is needed to better understand just how physical activity influences the severity of a stroke,” Sunnerhagen said. Still, the authors say there is a large and growing body of research showing that even light exercise can have a range of benefits to the body and brain. In an accompanying editorial, Nicole Spartano, a research assistant professor of medicine at Boston University, explained that exercise could make people more resilient to strokes, which occur when the brain’s blood supply is lessened. "Physical activity has a favorable effect on vascular risk factors such as hypertension, diabetes mellitus, obesity, lipid profile, and psychosocial factors, each known to affect stroke risk. A growing body of literature also suggests that even among individuals who have stroke, those who led a physically active lifestyle tended to have less severe strokes,” Spartano said. “Furthermore, experimental research in animal models supports the value of exercise before and after stroke as a modifier of post-stroke outcome,” she said. The study has been published online in the journal Neurology.